The Elantra has been cruising American roadways since 1990, and it has undergone quite a few changes since its first iterations rolled off the lot. Hyundai originally released the Elantra as a lean, budget-friendly compact car, and while it remains a tremendous value, it now packs an impressive list of features and amenities. Hyundai’s technology has come a long way, and the Elantra has been updated to include a number of standard features for safety, navigation, and entertainment. The Elantra also comes with the lauded Hyundai warranty, one of the strongest powertrain warranties available today. The Elantra provides unrivaled interior space for its class, and it performs like a seasoned professional on city roads and highways. If you’re looking for a practical compact for the daily commute through Sycamore or a road trip-ready ride, Sycamore Hyundai is ready to help. Come by our dealership today to take the Elantra for a test drive. What’s New in the 2019 Hyundai Elantra? The newest Elantra model features fresh exterior and interior styling updates and some added standard and available features. The refreshed interior seats five with cozy soft materials, and there’s plenty of space for passengers and cargo. The cabin also has two full sets of LATCH car seat connections. If you opt for the GT hatchback build, you’ll get even more storage space, up to 55 cubic feet with the rear seats folded down. Standard features include an intuitive infotainment system with USB port, touchscreen, six-speaker sound system, and more. Available features include Apple CarPlay, satellite radio, Android Auto, wireless device charging, navigation, eight-speaker sound system, and sunroof. The 2019 Elantra has passed crash tests with flying colors, and has a host of available safety features including automatic emergency braking, adaptive cruise control, forward collision warning, lane departure warning, driver drowsiness monitoring, lane change assist, blind spot monitoring, safe exit assist, and more. The rearview camera comes standard. The Elantra runs on a 147-horsepower engine, and Hyundai also offers a 201-horsepower turbocharged 4-cylinder. Its gas mileage takes the edge off long commutes and its handling makes light work of winding roads. Hyundai’s Elantra first hit North American pavement in 1990. As a simple, spartan compact vehicle, it saw modest sales at its launch, but enjoyed a steady increase in popularity over the following years as Hyundai revisited its design and made improvements to its features and equipment. In 1995, the second generation of Elantra debuted in both wagon and sedan body styles. Sales skyrocketed with the advent of the third generation, which arrived in 2001. Hyundai endowed the newer models with myriad standard features, many of which were offered as extra-cost amenities in competitors’ vehicles. The tech upgrades added forward-thinking value to the car and established new expectations for what a compact should carry. Following these tech upgrades, Hyundai focused on improving powertrain dynamics by the launch of the Elantra’s fourth generation in 2007. The modern Elantra now features contemporary styling and a refined interior. 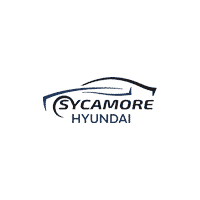 At Sycamore Hyundai, we want to give you every possible benefit when shopping for your next car, truck, or SUV. We carry new and pre-owned Hyundai models encompassing a wide range of price points and trim levels. Come by our dealership or explore our selection online to see what we can do for you. We are sure that you’ll find the vehicle you’re looking for, and our insightful staff is standing by to assist you with expertise and stellar customer service. The Elantra promises an incredible value, but you may still be surprised by how affordable it really can be to pick up the keys today! When you visit us, remember to ask about our special deals and incentives.